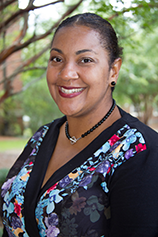 Kandice L. Horsey is an Assistant Professor and Director of the Lawyering and Legal Reasoning Program. Before joining Cumberland School of Law, she lived in London for over seven years. During that time, she practiced criminal law and taught law British and American law students, concurrently. In the United Kingdom, Professor Horsey initially qualified as a solicitor, then went on to get an additional certification to become a Duty Solicitor to represent unrepresented individuals at all stages of the criminal process, often starting from the police station. Later, she earned the privilege to be a solicitor with Higher Rights of Audience. Consequently, as a solicitor, she was licensed to be an advocate in every criminal court in England and Wales, on par with criminal barristers. In addition to her legal practice in England, she taught both British law students and American law students. She began by teaching advocacy skills to students pursuing their LL.B. at the University of Hertfordshire, School of Law. Later, she would teach graduate students studying to be solicitors at BPP University, School of Law. She taught courses on Advocacy, Commercial Law and Intellectual Property, Criminal Law, Interviewing and Advising, and Practical Legal Research and Writing. For a period, she was also the Module Leader for Practical Legal Research and Writing, similar to her current position as director. Professor Horsey also taught for Stetson University College of Law in their Study Abroad programs in London and Oxford for several years. In the London program, she served as Director of Program Operations for two years and Internship Director for one year. For three years, she was an advocacy trainer for Irish law students and legal professionals in Dublin, Ireland as a part of Stetson’s partnership with University College Dublin – Sutherland School of Law. Before moving to London, Professor Horsey was a prosecutor for over six years. She served as an Assistant District Attorney in Philadelphia, Pennsylvania and an Assistant State’s Attorney in Prince George’s County, Maryland. As a prosecutor, she tried over 100 adult felony cases to a verdict in both bench and jury trials. She also handled misdemeanor cases, juvenile cases, and asset forfeiture cases before progressing to the felony units. Due to the unique experience of having practiced as a prosecutor and defense lawyer in two countries, she is particularly interested in all aspects of criminal law and in comparing the two criminal justice systems.